SYLVA, NC – The spikes intentionally set on a hiking trail in February was such a vicious act, it prompted the town and state legislature to take serious action in what one representative calls an act of domestic terrorism. 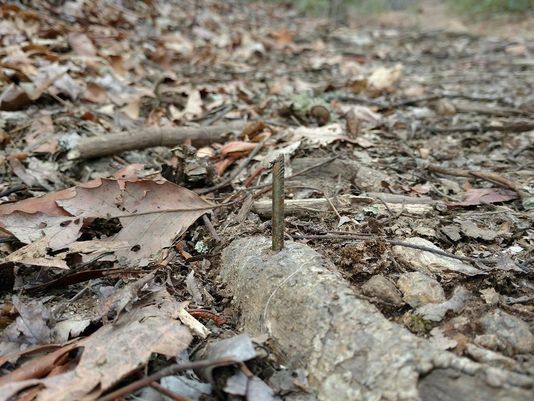 A runner and a hiker were snagged by 16-penny nails with their heads sawed or clipped off at an angle to create sharp spikes that were hammered into tree roots and branches along the Black Rock Trail in the town’s Pinnacle Park. The runner’s foot was impaled, while the walker stepped on a spike that only went through the shoe. The heavily wooded and wildly popular trail in Jackson County was closed for days while Sylva Police, town employees and volunteers scoured the woods with metal detectors, eventually finding more than 60 nails. The trail spiking occurred just before an annual trail race, the Assault on Black Rock. Volunteers removed all the nails they found and swept the trail with a metal detector before the race, which went on without incident. In March, the Sylva Town Board voted to appropriate funds to install surveillance cameras in the parking area and throughout the woods, said town manager Paige Dowling. Guns, ammunition or explosive devices attached to trip wires or other triggering mechanisms. Sharpened stakes, nails or spikes. Lines or wires with hooks or other sharp objects attached. Devices that produce toxic fumes or gases. The bill passed the House unanimously but is now sitting in the Senate Rules Committee. “I think the people of my district, as well as people in any district, should have the freedom to go into someplace like a public park to exercise and be safe, rather than have to be worried about domestic terrorism,” Clampitt said, adding that the bill should come up for vote in the short session. Sylva Police Detective Doug Farmer said there have been no arrests and the case is still active. Police are offering a $1,000 reward to anyone with information relating to the trail spikings. “The trail has been checked again and we’ve had no further problems. We’re still trying to generate leads. We have no real motive at this point. I’m hoping somebody eventually talks or brags about it somewhere,” Farmer said. 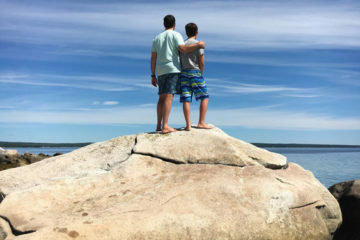 The police now check the permit box daily – visitors who are camping at the primitive sites are required to register – and regularly check the Pinnacle Park parking area and monitor the video cameras “in some unique places,” to see if anyone returns to the scene of their crime. So far, there has been no unusual activity, Farmer said. 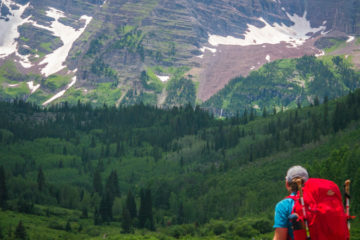 Dowling said the 1,100-acre park, owned by the town, is immensely popular, with trail runners, hikers and backpackers using it at all times and days of the week, even through the winter. On most weekends, the 20-car parking lot is packed. The hateful act received national headlines. Dowling said she received calls from people in Washington, Montana, New York and other states offering to send Sylva metal detectors. Anyone with information about the case is asked to call the Sylva Police Department at 828-586-2916. From the Asheville Citizen Times.